Nature’s new year in the Jewish faith is Tu BiShvat, a new year for trees. Our Bar Mitzvah boy this week highlighted this holiday and his Bar Mitzvah together at his service and reception at Congregation B’nai Jeshurun in Manhattan. The stained glass windows and the arc set the stage for a special photo shoot with Joshua. The celebration continued at a reception also at Congregation B’nai Jeshurun. We loved how guests signed messages for Joshua on paper leaves and hung them from the “sign-in tree.” Other special touches that incorporated the nature theme were the leaf boas at our photo booth and the very unique “candlelighting” ceremony where Joshua’s closest family and friends shoveled dirt into a pot with a young tree, nurturing its growth and life. 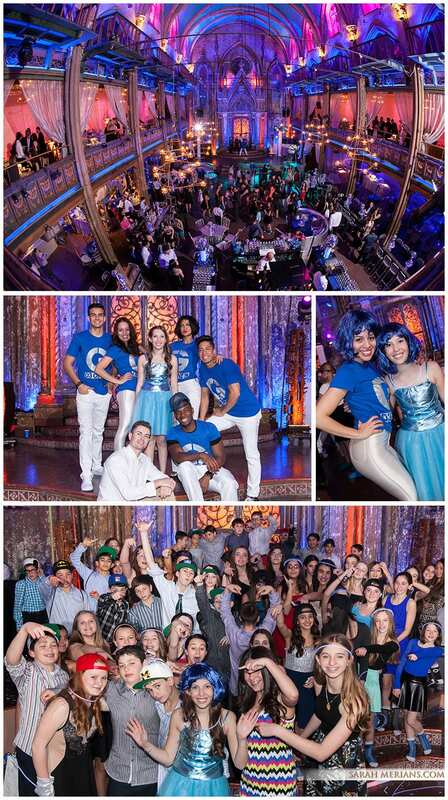 Harlem Stage Presents: A Bat Mitzvah Bash! 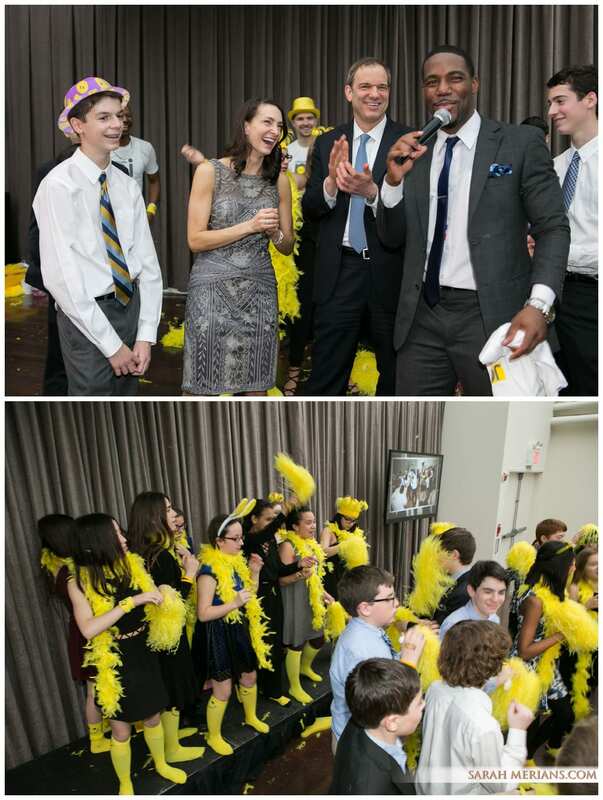 MITZVAH MONDAY: Joe’s Bar Mitzvah at Tribeca Rooftop was a vision in yellow and gray. 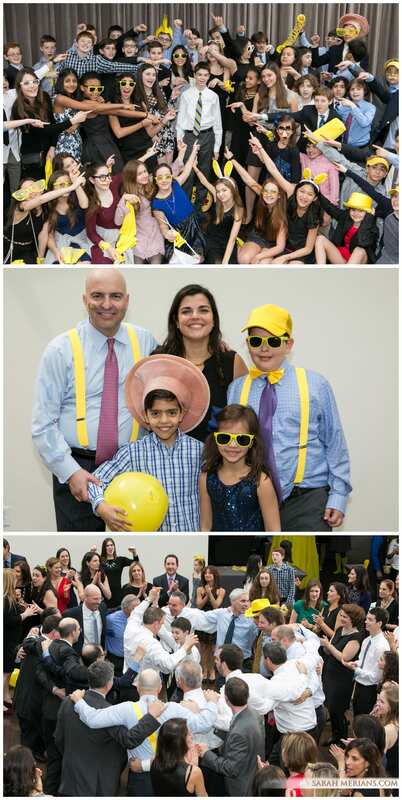 Everything was color-coordinated down to the giveaways from yellow suspenders, to boas, slinkies and custom tattoos, thanks to Mom Melissa and event planner Lisa Jaffe of Jaffe Events! Joe and his family met up with photographer Sarah at Temple Shaaray Tefila- New York City for photos on the bimah with the Torah before Joe’s big day. Our photo booth was a big hit, with a custom Joe backdrop courtesy of Lisa! Mazel Tov, Joe! MITZVAH MONDAY: The Museum of Jewish Heritage downtown at Battery Park City is a beautiful place to hold a Bar Mitzvah- from the extensive Jewish history that fills the space to the beautiful views of the Hudson River and the Statue of Liberty. But before the party was Ethan’s service at West Side Institutional Synagogue. Ethan become a Bar Mitzvah as all of his close family gathered and celebrated around him (Ethan’s Great-Grandma even came from Israel!) The party continued at the Museum of Jewish Heritage with event planner Lisa Jaffe of Jaffe Events coordinating the best props for our SMP photo booth! Mazel Tov to this beautiful family! The Martina Arroyo Foundation celebrated their 10th anniversary at their annual gala and dinner at the JW Marriott Essex House, New York. The organization, named after opera legend Martina Arroyo, prepares young singers through an educational program that culminates in staged performance productions. This year’s event honored Mark and Sadie Rucker and fashion designer Nanette Lepore. The event featured special opera performances and award presentations. To learn more about Martina’s organization, visit http://martinaarroyofoundation.org/ and check out Sarah Merians’ photos of the event below. 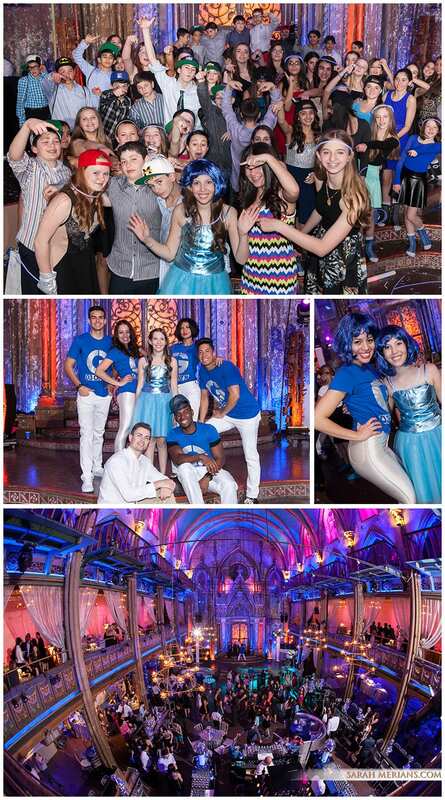 It was a blast being a part of Sarah’s Bat Mitzvah celebration! Before the party, Sarah met with “our Sarah” for a get-to-know-you photo session at our studio. Her sister and dog tagged along as well for some fun shots. The week of the Mitzvah, Sarah Merians met Sarah and her family at their Temple, Shaaray Tefila for a photo session on the bimah with the Torah. After Sarah became a Bat Mitzvah, we met up with the family at Providence for the Mitzvah bash. The club provides great space to host a Mitzvah with large screens covering the walls and lots of great club style lighting. Lisa Jaffe, of Jaffe Events, brought Providence to life with the red and gold decor details from the cake down to the party favors. Sarah and her little “devil” friends (see pictures below) had a blast posing in our photo booth and Untouchable Events did a great job keeping the crowd moving on the dance floor. Mazel Tov, Sarah!